Maples! Maples everywhere! The signage around the Maple Leaf neighborhood always reminds you where you are...not just Seattle, but MAPLE LEAF, Seattle. There is abundant charm to be found around Maple Leaf, from its absolutely adorable homes to its friendly local businesses. It’s a neighborhood for those who want quiet streets, greenery, and convenient access to downtown. This will only get more convenient when the nearby Northgate and Roosevelt Light Rail Stations open, on target for 2021. Don’t wait until then to explore this great Seattle neighborhood if you haven’t already. Here are some of things we and Maple Leaf residents love about their neighborhood. Photo via The Shambles website. 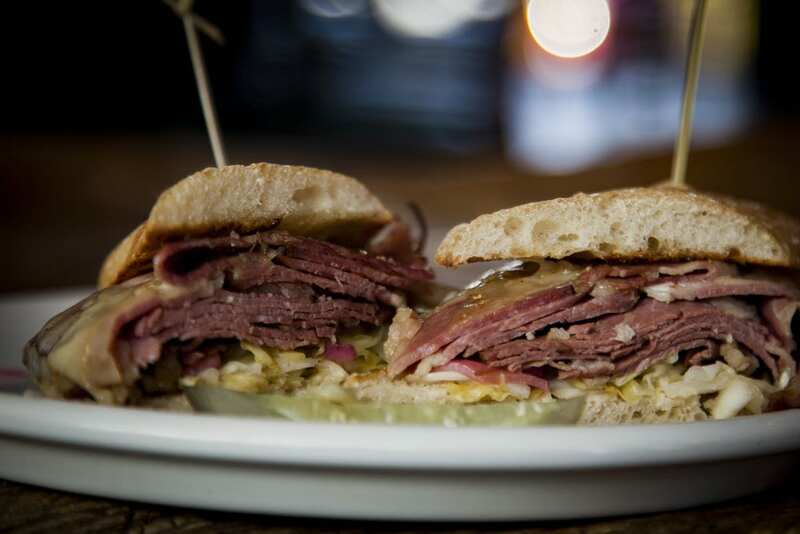 Maple Leaf saw big changes to its dining and drinking scene in the last year. First, The Shambles opened in January 2018, and has seen huge success. It’s a butcher shop that serves up amazing charcuterie and beer. Their recent addition of a weekend brunch (which runs until 4pm) has proved another smash hit. (Wagyu steak and eggs? Yes please.) And just because meat is the main attraction doesn’t mean that vegetarians and pescatarians can’t find good stuff, too. Want a more intimate date spot? The Maple is a cozy, converted house serving tasty traditional grill fare (fish and chips, burgers, shepherd’s pie) and a nice selection of beer and wine. They also have a cocktail of the day, which is often eclectic and worth a taste. Image via Seattle Parks and Recreation. The aforementioned, 16-acre Maple Leaf Reservoir Park is a green gem in the heart of the neighborhood. It was largely conceived through community input, and…well, committees aren’t always successful in Seattle, but this one really was! Maple Leaf is a family-oriented hood, and that shows in the unique play features for kids in the park: a zip line, a children’s garden, and sand pit that looks naturally part of the landscape in a circle of large stones. 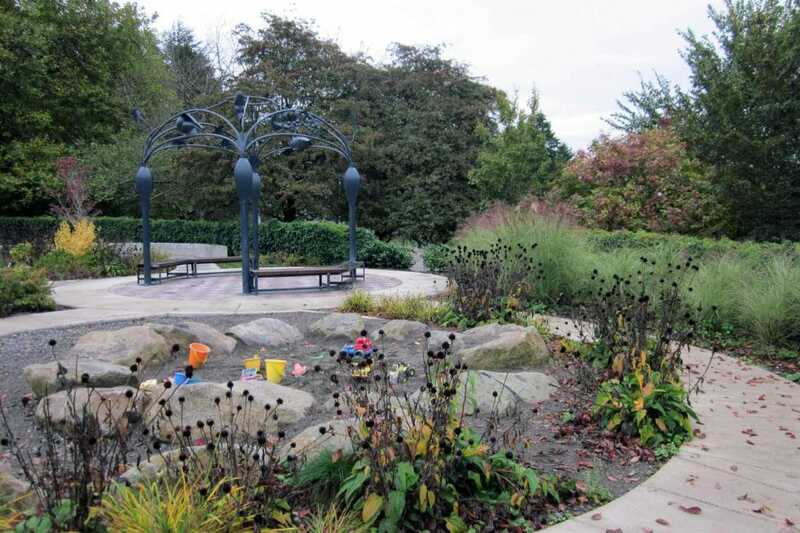 Then there are the sports fields, the butterfly garden and other rain gardens, running trails, and a viewpoint for Rainier and Lake Washington. It’s superb. The Blue Saucer Cafe is a perfect place to chill with friends (or just work on your laptop) in Maple Leaf. It’s family-owned and operated and doesn’t skimp on the homey vibes. Hot drinks and sammies are the fare (plus a Red Bull Italian soda in case you need an extra kick). And like a lot of places in Maple Leaf, the outdoor seating is very popular in spring and summer. Last but not least, for those who want to play in the dirt communally, the Maple Leaf P-patch is a great option. It has 22 plots, and the wait time to get one is 6-12 months currently. There are quarterly work parties if you want to get involved sooner, or just want to join in the fun without a greater commitment. Maple Leaf is a quick hop to all the shopping options in and around Northgate Mall. There’s more there than we can list, but in brief…how convenient! Meanwhile, in the heart of Maple Leaf, you see a lot of home improvement and home supply shops on Roosevelt Way. We love Ace Hardware there, and not just because it gives one an alternative to companies like Lowe’s and Home Depot (whose execs have significant anti-gay records). The Maple Leaf Ace Hardware is known for being friendly, helpful, and gregarious. 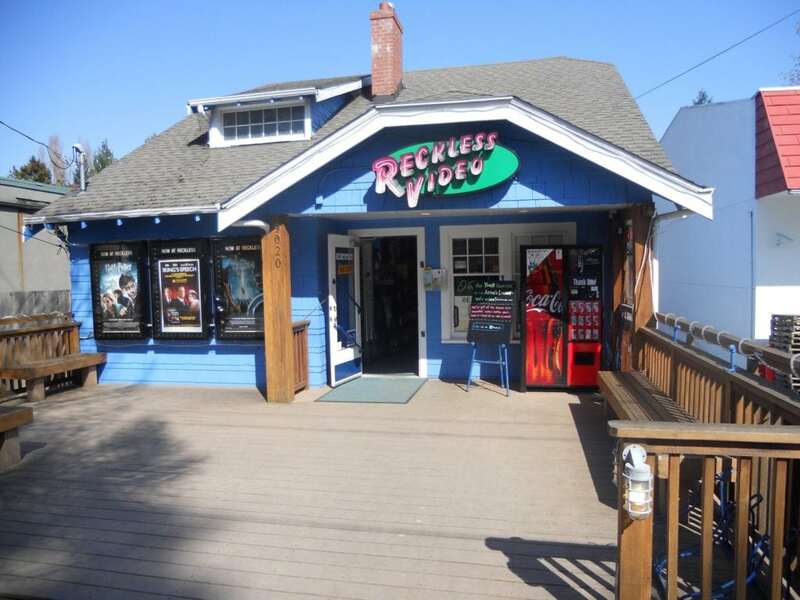 But Reckless Video is the most unique shop on Roosevelt Way in Maple Leaf. Since Video Isle in Fremont just closed in January of this year, Reckless Video and Scarecrow Video are the very last video rental shops in the city. Scarecrow is known for its archive of rare films that you just never see streaming. Reckless is a smaller, humbler operation. It has its own stock of deep cuts, which the owner is always happy to recommend, but it’s also readily stocked with new releases. For those disillusioned or overwhelmed by the streaming services, it’s a great (and increasingly rare) alternative. 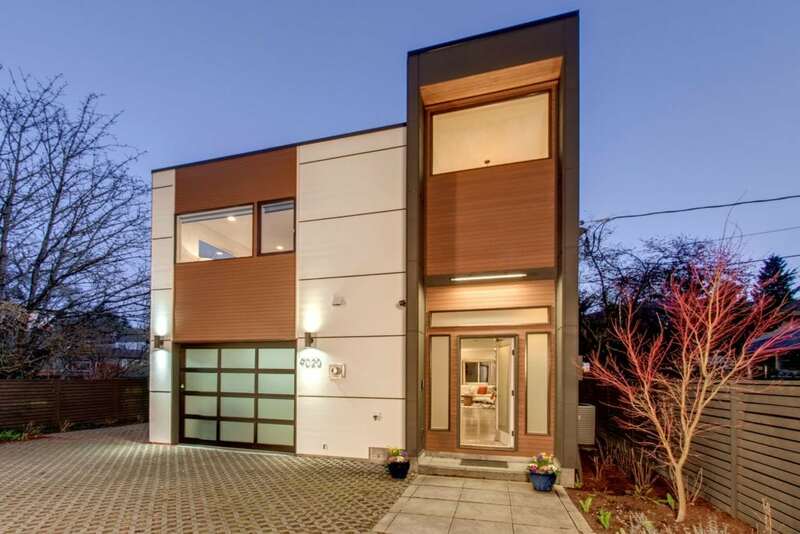 After brunch, a beer and some park time head on over to take a turn around our dreamy Maple Leaf Modern Home. 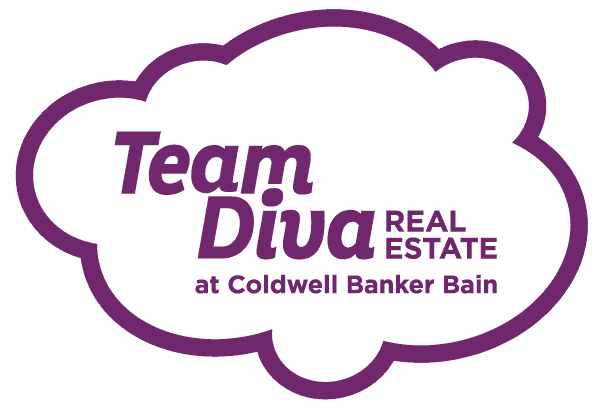 The stunning kitchen and open living spaces will make anyone who loves to throw parties year-round swoon with envy. And the upstairs seriously has three HUGE bedrooms – all easily fit a king size bed with plenty of room to spare for art space, reading nooks or yoga time. While you are touring, don’t miss the sweet backyard. The garden spot is a bird’s paradise, so you can hang those feeders and be entertained without ever turning on the TV.